In an era when the USA dominated the pool, the 22-year-old student was the only non-American to collect one of the 13 men’s gold swimming medals available in Montreal. Many thought Wilkie was actually American himself – he’d picked up a strong accent after training at the University of Miami for four years. He was, though, a fiercely proud Scot, despite the fact he’d spent his childhood in Sri Lanka where his father ran a tea plantation. His distinctive long hair, typical 70s moustache, trademark goggles and cap made him instantly recognisable. He was the first male swimmer to wear either goggles or cap in competition, the former to combat a lifelong allergy to chlorinated water and the second to tuck away his locks and maximise streamlining in the water. 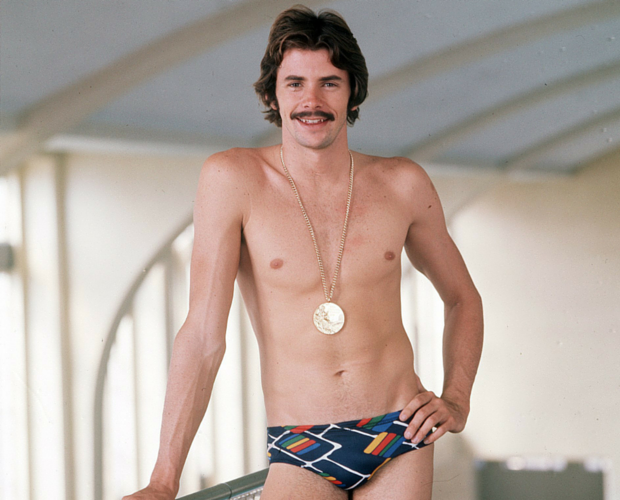 Wilkie had been offered the chance to move to America after he won silver in the 1972 Munich Olympics at 18, despite being ranked only 25th in the world. The man who beat him that day, American John Hencken, was to become Wilkie’s great rival over the next four years and the two dominated the breaststroke in Montreal. Hencken convincingly, taking three seconds off the world record. And he’s since proved he’s also a slick mover out of the pool. He retired a month after his victory to become an entrepreneur, later selling a healthcare company he had co-founded for a reported £7.8m.